Montlick & Associates, Georgia Auto Accident Attorneys, reviews the recent investigation announced by the National Highway Traffic Safety Administration (NHTSA) of the 2012 model Nissan Versa. The NHTSA is investigating claims that a damaged cable assembly in the vehicles could result in the failure of airbags to deploy in a collision. 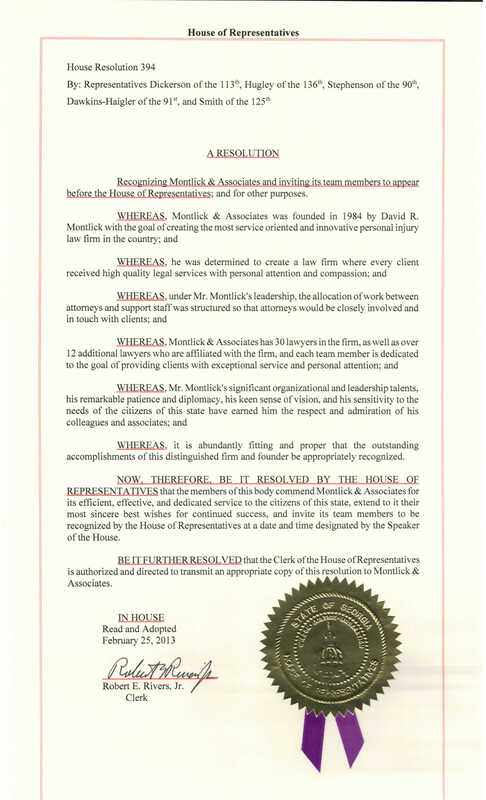 Georgia Personal Injury Attorneys Montlick & Associates has been helping families get the compensation they deserve since 1984. Airbags save the lives of vehicle occupants in auto collisions throughout Georgia on a daily basis. The vital role of airbags in preventing life-altering consequences in collisions has increased as vehicle manufacturers are now installing more airbags in new positions that provide more protection for vehicle occupants. While only front impact airbags are required by the National Highway Traffic Safety Administration (NHTSA), an increasing number of vehicles are equipped with side impact airbags, side window airbags and other airbags to provide supplemental protection in a collision. While airbags can provide a vital lifesaving device in the event a vehicle occupant is not wearing a seat belt and an extra measure of protection when an occupant is buckled up, the consequences can be devastating for vehicle occupants when airbags fail to deploy or the timing of deployment is not appropriate. The recent investigation announced by the National Highway Traffic Safety Administration (NHTSA) of the 2012 model Nissan Versa provides a case in point. The NHTSA is investigating claims that a damaged cable assembly in the vehicles could result in the failure of airbags to deploy in a collision. According to the federal regulators, the investigation covers approximately 100,000 vehicles. Montlick & Associates' experienced Georgia auto accident attorneys commend the NHTSA for its review of this critical safety issue. Airbags that fail to deploy in a collision may result in traumatic head injuries when a passenger’s head collides with the dashboard, or crushed ribs and lung damage when a driver is slammed into the steering column. In cases where vehicle occupants fail to buckle up, an airbag can even prevent a vehicle ejection or impact with hard surfaces in the interior of the vehicle. Vehicle ejections cause a disproportionate number of permanent injuries, including spinal cord damage resulting in paralysis, as well as fatal head injuries. Many times faulty airbags that cause injury in an accident are not directly related to the airbag itself but to the sensors and deployment system. These sensors are designed to activate the airbag when a collision occurs at certain minimum speeds. Sensors and other components of airbag deployment systems can be defective so that the airbag fails to deploy, deploys prematurely or fails to deploy in time. Even if your collision is caused by a negligent driver who is impaired by drugs or alcohol or not focusing on the road, you may still seek financial compensation from the vehicle manufacturer if you suffer more serious injury because of a defective airbag. When Montlick & Associates' experienced Georgia automobile accident attorneys and Georgia truck accident attorneys review a case, they not only review potential hazardous driving by the other driver, but also potential vehicle defects that may cause a collision or more serious injury. 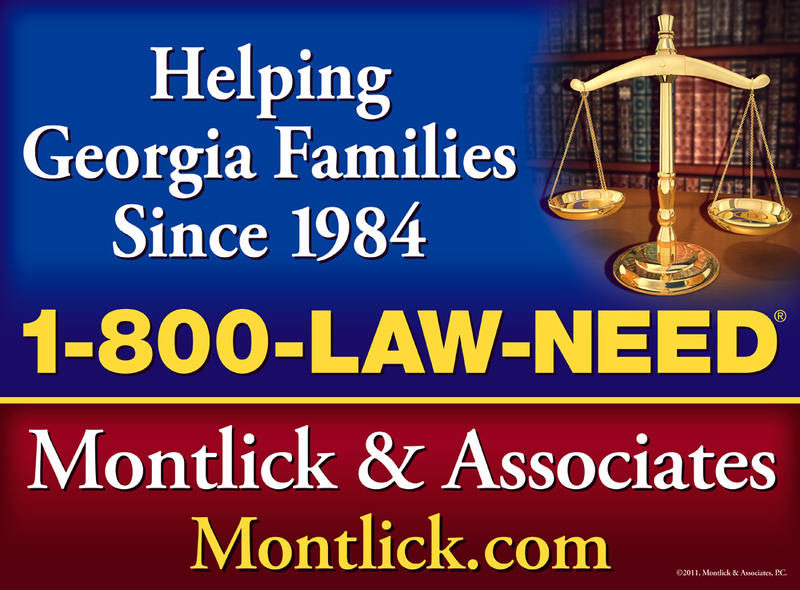 Montlick & Associates' experienced Georgia Auto Accident Attorneys have been serving Georgia families for 30 years, and the firm's attorneys are available to assist clients throughout all of Georgia and the Southeast, including but not limited to Albany, Athens, Atlanta, Augusta, Columbus, Gainesville, Macon, Marietta, Rome, Roswell, Savannah, Smyrna, Valdosta, Warner Robins and all smaller cities and rural areas in the state. No matter where you are located their attorneys are just a phone call away, and will even come to you. You can call the firm 24 hours a day/7 days a week for your Free Consultation at 1-800-LAW-NEED (1-800-529-6333). You can also visit the firm online at http://www.montlick.com and use the Free Case Evaluation Form or 24-hour Live Online Chat.